I have some big news that I am just ecstatic about. Literally busting at the seams. Sit down – NO, no sibling for Camden and Beckett just yet, but it is still pretty cool. 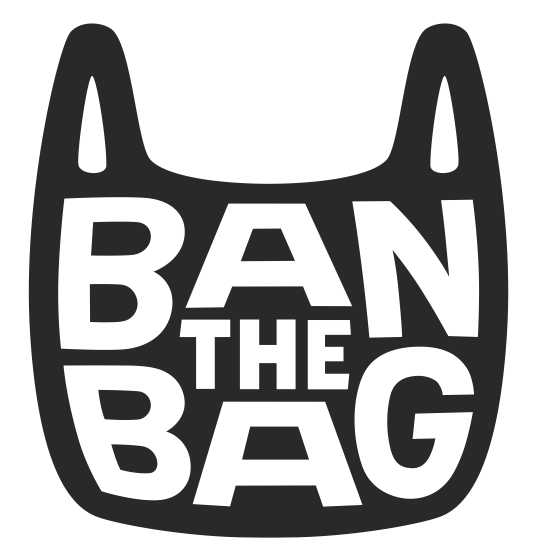 The city of Bellingham passed an ordinance titled the “Single Use Carry Out Bag Ordinance” that goes into affect on August 1, 2012. The ordinance bans all single use plastic bags in the Bellingham city limits. Paper carryout bags will be available for 5-cents (with a few exceptions – see below). Here are my thoughts. First – I am big fan of reusable anything. Single use anythings, be it ziploc bags, plastic grocery bags, water bottles, etc…, are modern day conveniences but they come with a price. And, it’s a steep price when landfill space, biodegradation rates and sheer volume are taken into account. Second – plastic is not an eco-friendly product. And, by eco-friendly, I am talking people-friendly, animal-friendly, ocean-friendly, air-friendly and land-friendly. The manufacturing process, recycling process (if there even is one) and disposal are extremely taxing on our ecosystem. So, Yay (!) for no more plastic. Yay (!) for reusable alternatives. The one thing I am stuck on is the cost for paper bags. I tend to think in a sort of “reward” mentality versus a “consequence” mentality. I would choose to reward good behavior – e.g. offering a generous discount for bringing reusable bags (say, perhaps 10-cents per bag) versus a penalty (charge) to those who neglect/forget/overlook/choose not to bring reusable bags. But, I also acknowledge that plastic bags are MUCH cheaper to manufacture and cost stores MUCH less than paper bags and they are likely trying to offset their rising costs in response to the plastic bag ban. But, either way I’m happy that plastic bags in Bellingham are a thing of the past. Do any of you live somewhere that has a law/ordinance banning a specific item (styrofoam, plastic bags, etc..)? Is your area thinking/working on passing one? Shout it out here! The City of Bellingham is taking a big step forward in reducing litter and unnecessary waste, protecting water and wildlife, and saving money by reducing the use of plastic bags in our community. The Bellingham City Council approved the Single Use Carry Out Bag Ordinance (commonly known as the “plastic bag ban”) in July 2011. The new law – effective Aug. 1, 2012 – encourages the use of reusable bags by banning thin “single-use” plastic carry-out bags. Paper carry-out bags will still be available, but will cost a nickel. This nickel serves as a modest monetary reminder for shoppers to bring reusable bags. The nickel will be kept by retailers to help them recover the costs of switching to paper bags; the nickel is not a new tax and doesn’t go to the City. While the thin plastic carry-out bags at grocery stores and other retailers will not be allowed, common sense exemptions are built into the ordinance. For example, plastic bags that are used for meats and produce in grocery stores and for restaurant take-out foods will still be allowed, because of the public health functions they play. Dry cleaning bags also will be allowed. Stores will still be able to offer small paper “product bags” that allow customers to gather items within a store. Stores that currently provide small paper bags free-of-charge at checkout—such as pharmacies, bookstores, and gift stores—may continue this practice. City officials are developing plans to implement this new law, focusing primarily on community education and assistance to affected businesses. This entry was posted in waste not, want not, where the locals go!. Bookmark the permalink. hooray for Bellingham, the “Santa Cruz” of Washington state! as you well know Katydid, both Santa Cruz City and Santa Cruz County have such a ban. it has made me aware to take my reusable bags everywhere (or buy smaller purchases). i am pleased and surprised that the city passed and will enact the ordinance so quickly. took more than 6 months for the county and city here to enforce the ordinance. now, if you could just get some government organization to recycle your batteries. love you muchly. Great article…You might want to check out the reusable, featherlight produce bags and Go Green Doggie Bag (under links). These will help eliminate plastic bags and Styrofoam! !